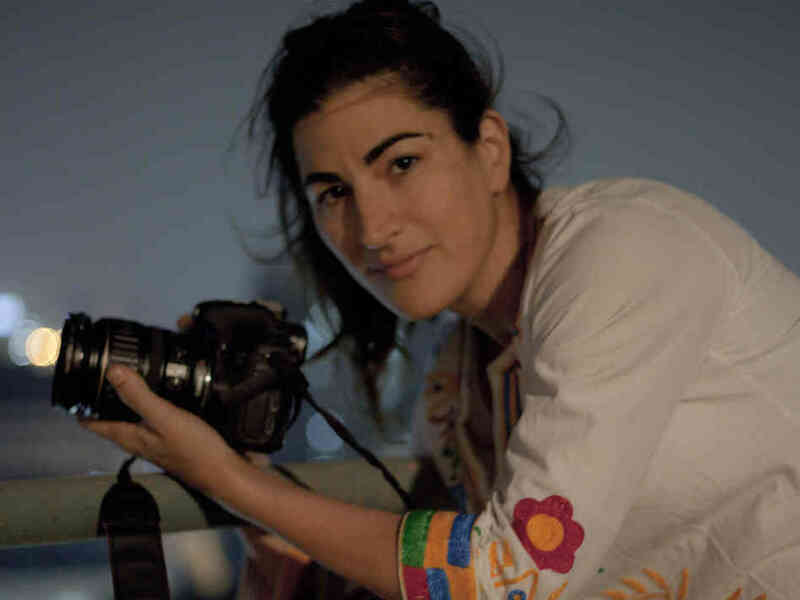 When Jehane Noujaim brought her latest documentary "The Square" to Sundance last January, she intended to premiere a completed movie, not a work in progress. But the Egyptian Revolution kept on going. Even after winning an audience award for what seemed to be a finished product, and a popular one at that, the director and her team felt obliged to return to Cairo and keep shooting. The film still begins with the uprising in Tahrir Square in early 2011 and the resignation of longtime leader Hosni Mubarek. 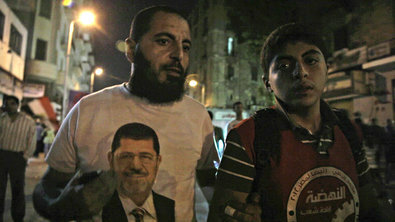 It originally ended with the inauguration of Mohammed Morsi in June 2012. "That was the political storyline, from the bringing down of a president to the election of a new president," Noujaim told me by phone last week. She explains that by the time she was at the festival in Park City screening that first version of "The Square," protestors in Egypt were back in the streets, now calling for Morsi to step down. As "a historical document about this movement that's taken place over the last two years," she says, "to end it there and not go back and shoot more, edit it again, would be completely disingenuous, and unfair for the story that we hope will be watched and learned from for years to come." The documentary that held its second world premiere at the Toronto Film Festival in September and took home another audience award is very different from the version unveiled at Sundance. This version ends with the military coup that ousted Morsi this past summer. Noujaim believes it's a much more interesting story now: a battle against fascism, with a third act that mirrors the film's first. She also considers it a deeper emotional story for the handful of characters she's been following since the beginning. "The fact is that the more you get emotionally specific in a film," she says, "the more universal the film becomes." "We needed to keep filming because what they were trying to achieve was not over," she says. "The film takes you through this story of people who are in the end really trying to find and build this 'society of conscience,' which is tangibly a constitution that protects them against all these power forces they've been fighting. They're finally following that pathway of building a constitution which is there to represent every faction of society." Producer Karim Amer met the director in the square. Before they were filmmakers together, they were protesters together. "If I wasn't a filmmaker I would have been in the square anyway without a camera," Noujaim admits. Amer explains, "We went there because this was our story and our country and our struggle." He says that by the end of the film, their subjects "...have gone through all the political continuums, going from a street protest to the election ballot box and back again, and so they've learned that the results of an election are not going to dictate the future of Egypt." 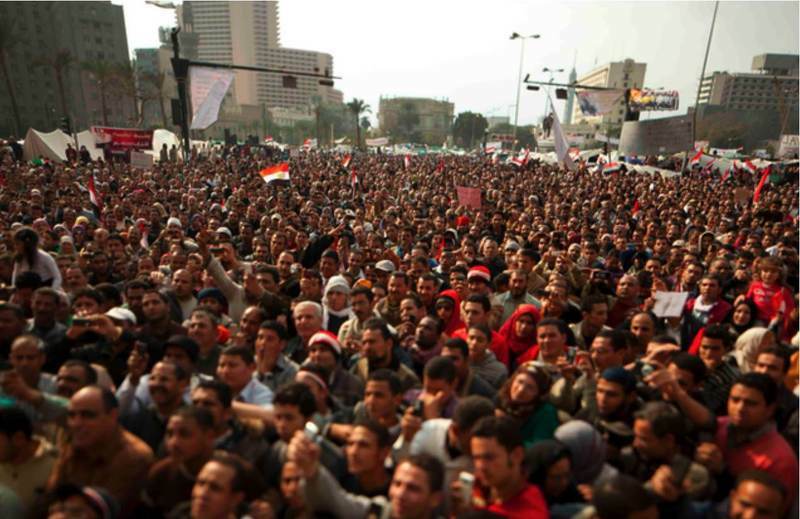 Amer compares the Egyptian Revolution to other historical turning points, such as the U.S. civil rights movement, the fight for Irish independence, the battle against apartheid in South Africa, and the revolutions across Europe in 1968. "There are moments in history where there is this ethos of the power of the people, and the ability of that power, and the triumph and the successes of that power," he says. While "The Square" presents a narrative history of the Revolution that can be universally understood, it also shares a story that is specifically significant to the people on screen and throughout Egypt. "It's incredibly important that this very crucial moment of history in Egypt was written by Egyptians," Noujaim says. "Egypt has been colonized by every imaginable power over the years, and they've always had this concept of the pharaoh that needs to be broken. We don't have these stories of the Rosa Parks who sat in the back of the bus, we don't have these celebrated individuals who have been able to change their country. So we as filmmakers felt it was very important to follow these very local heroes." "This film is a form of protest," Amer adds. "It's a form of challenging the narrative, and the story of Egypt isn't going to be written by a fascist regime or by a headline." The filmmakers have no interest in adding to the film any further, regardless of how uncertain the future of Egypt's leadership continues to be. However, the project may still grow in other ways. "This hasn't been just a film for us," Amer tells me, explaining that there is a responsibility for them to create an archive of the events from the more than 1600 hours of material amassed in the two and a half years. "This is historic material, and the effects of this and the evidence that's in it will have relevance for years to come, some that we may not even understand now." 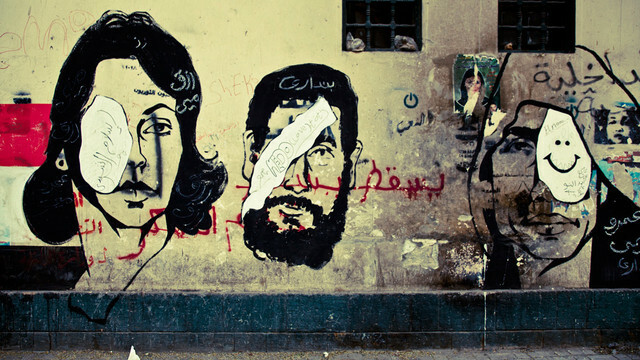 The Egyptian Revolution has been one of the most exhaustively covered world events, thanks to the abundance of cameras and the immediacy of distribution through the Internet and mobile file sharing. Already, footage shot for the film has been used in legal cases to show infractions by the army and the police and the Muslim Brotherhood, and clips have been lent to television stations immediately after they're recorded. "Little camera phones did become a mode of protection and a mode of witness that has never existed before," Noujaim says. "It's a tool that is extremely important in these revolutions. And there's a place for longer form narrative, where you can sit back and understand how this story has played out over the past two and a half years." "This revolution will go down in history as one of the explosion points for citizen journalism," Amer adds, "where who writes the narrative and who controls the narrative is challenged, where everyday people are starting to write and participate and share and contribute. It's really been an explosion on that front. Lots of people are documenting because lots of people are feeling that same feeling that our characters feel, which is that only we can tell our stories. This is a new space for storytelling and for documentary." Unfortunately, in Egypt the people still have to settle for the clips and not the full documentary story, even though, as Amer points out, "all of the most difficult-to-watch footage, all the evidence, has already been uploaded on YouTube." "We still have a censorship board in Egypt where our film cannot play in theaters or be released on television unless it passes, and right now it hasn't yet," Amer says. Noujaim hopes the movie will inspire viewers to find their own version of the square. "The fight in Egypt is not just about Egypt," she says, "it's a universal struggle for social justice and economic justice and environmental justice. All of these things are interconnected, and if we don't begin to see these things on a global scale we're never going to be able to understand why there's chronic tumultuous zones around the world popping up, whether it's in Moscow or Rio or Athens or Tahrir."